Physical and technological changes in computing and data storage have led us down a winding road to DevOps, which brings us to where we are today. Let’s take a brief look at the evolution of cloud hosting, from colocation to today’s cloud services, and the impact of these changes on IT decision-making. 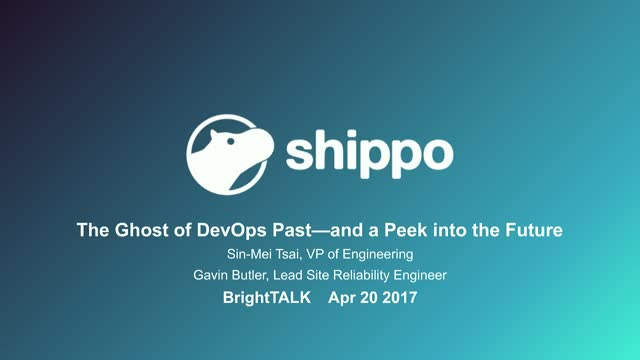 Join this webcast with Sin-Mei Tsai, VP of Engineering along with Gavin Butler, Lead Site Reliability Engineer at Shippo, for a technical deep-dive into cloud applications and operations of yesterday, today and tomorrow.